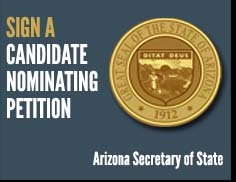 January 22, 2014 - Kristie O’Brien is announcing her candidacy for the Arizona State Senate in Legislative District 17. The district comprises of Chandler, Sun Lakes and western Gilbert. A native Arizonan, O’Brien was born and raised in the East Valley. She is one of two children born to Michael and Gail O’Brien. She grew up in Chandler and is a graduate of Dobson High School. O’Brien received her B.A. in International Relations from Trinity University, in Washington, DC, a Certificate in International Studies from The Johns Hopkins University Paul H. Nitze School of Advanced International Studies, Washington, DC and her Juris Doctorate from Bond University Law School, Australia. O’Brien is a lawyer and trained mediator. Her legal background is in environmental, corporate, employment, intellectual property, entertainment and international criminal law. O’Brien’s commitment to local and state issues and representing the needs of all Arizonans is what makes her the clear choice for Arizona’s State Senate. The granddaughter of a World War II veteran and the niece of an Operation Desert Shield/Desert Storm veteran, O’Brien was raised to understand the value of commitment and service. “Arizona deserves a brighter future - - a future that ensures our children’s safety, a world-class K-12 public education, and job opportunities for all Arizonans.” To learn more about Kristie O’Brien and how to support her candidacy for the Arizona State Senate - Legislative District 17, please visit: www.OBrienforAZSenate.com. Contributions are not tax deductible for federal income tax purposes. Corporate contributions are prohibited.